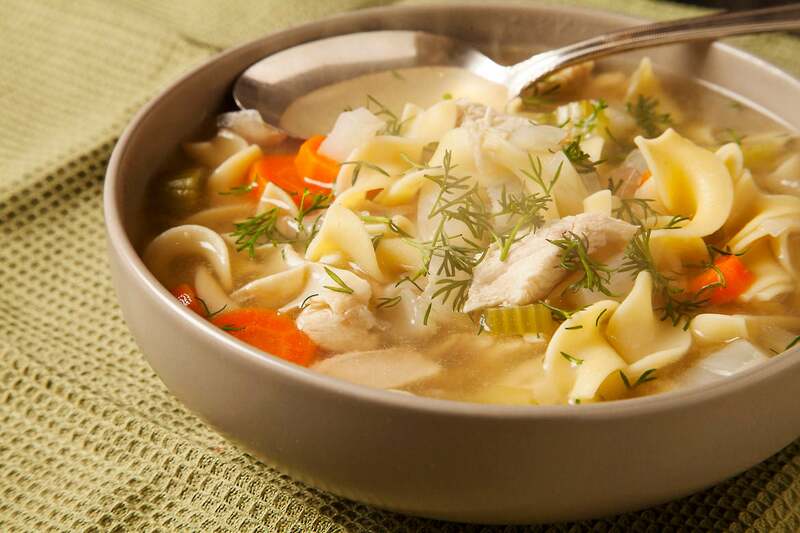 What could be better than chicken soup on a cold day? 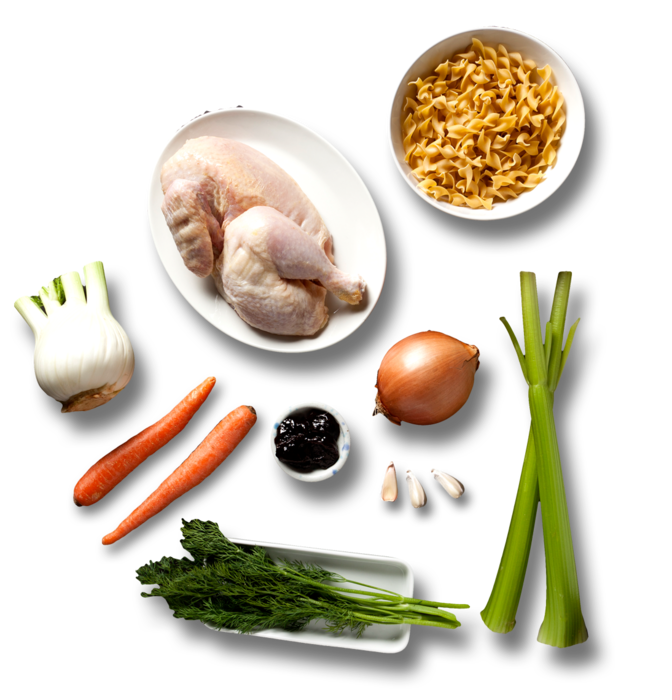 Before a long-awaited spring, warm your stomach and your kitchen with this quick and easy chicken noodle soup. 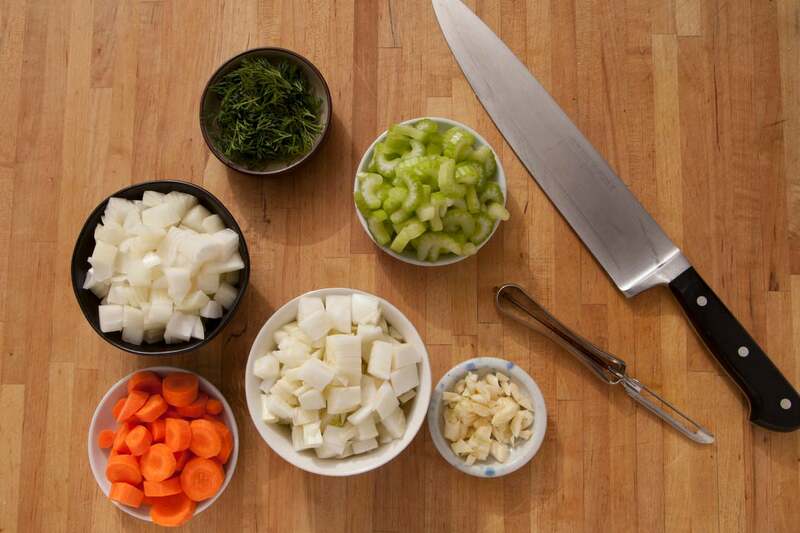 The classic “mirepoix” of carrots, celery, and onion is spiced up a bit with the addition of fennel. 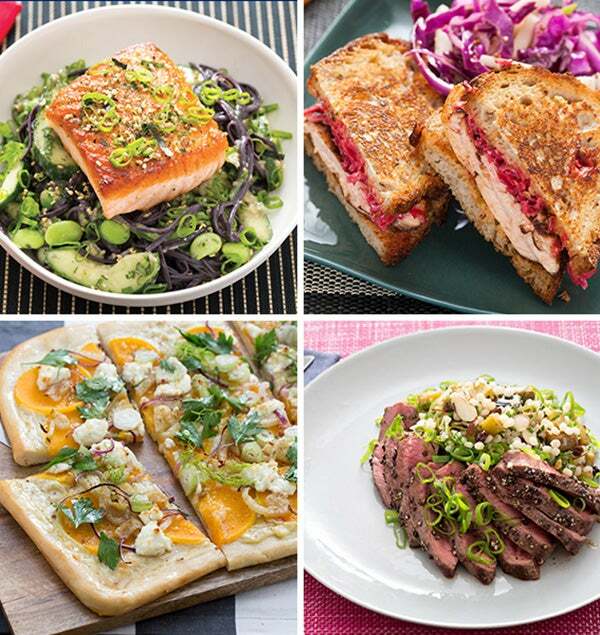 We then gave it the little extra layer of flavor with a garnish of sweet dill that we know you will love. 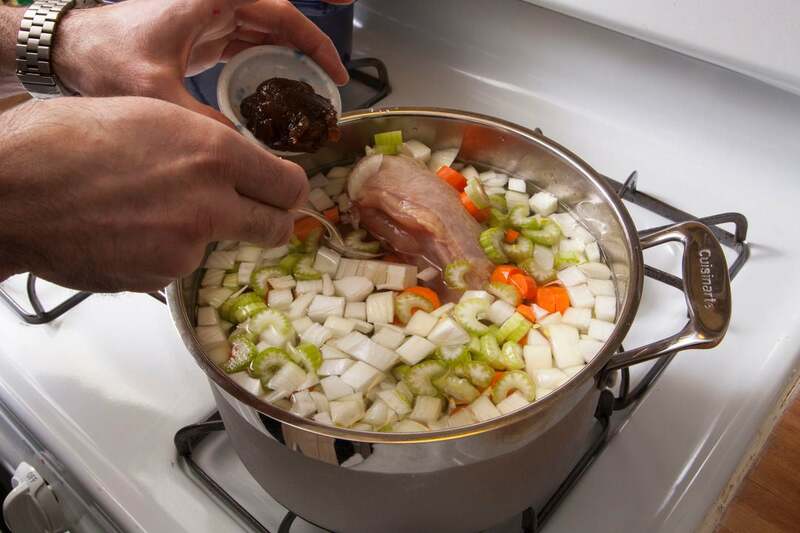 Place the chicken pieces, bones, and 3 cups of water in a large pot; cover and heat to boiling on high. Wash the vegetables. Peel and medium dice the carrots and onion. Peel and roughly chop the garlic. Medium dice the celery. Remove the core and medium dice the fennel. Roughly chop the dill. Add all the vegetables (just not the dill) and the chicken base to the pot and continue to heat to boiling, covered. 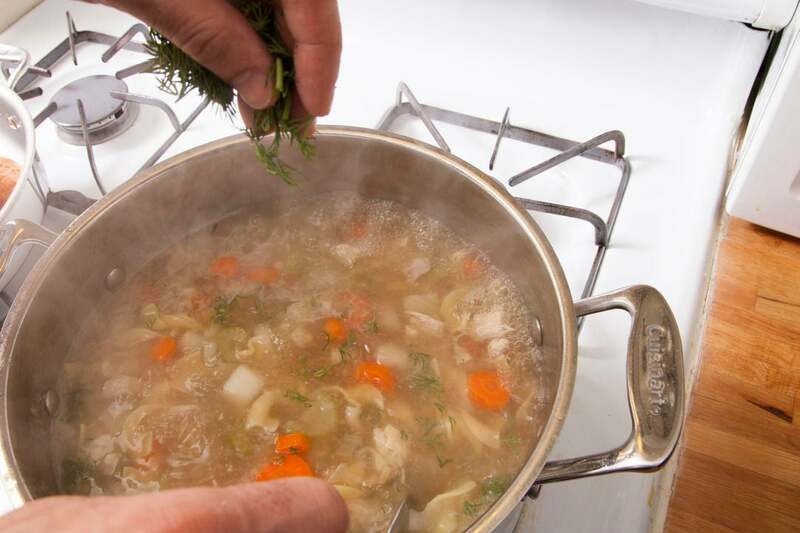 Once the soup boils, uncover and reduce the heat to medium. Simmer about 20 minutes, or until the chicken is cooked through. As the chicken cooks oil and foam will come to the surface of the pot. As the soup simmers, use a spoon to skim off any foam. 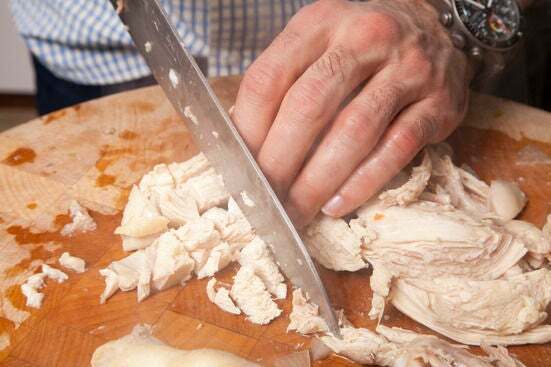 After about 20 minutes, carefully take the chicken out of the pot. 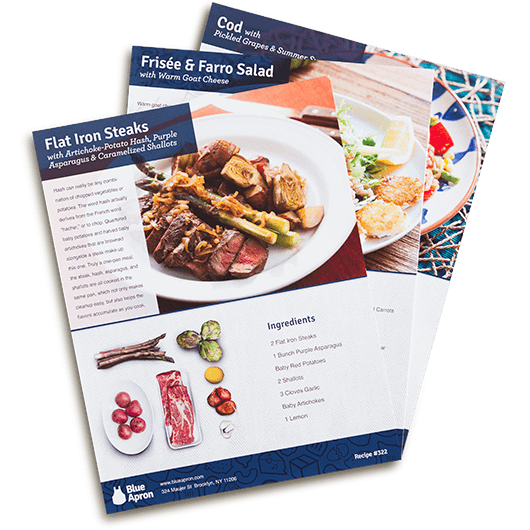 When it’s just cool enough to handle, remove the meat from the bones and chop or shred it into bite-sized pieces, discarding the skin and bones. 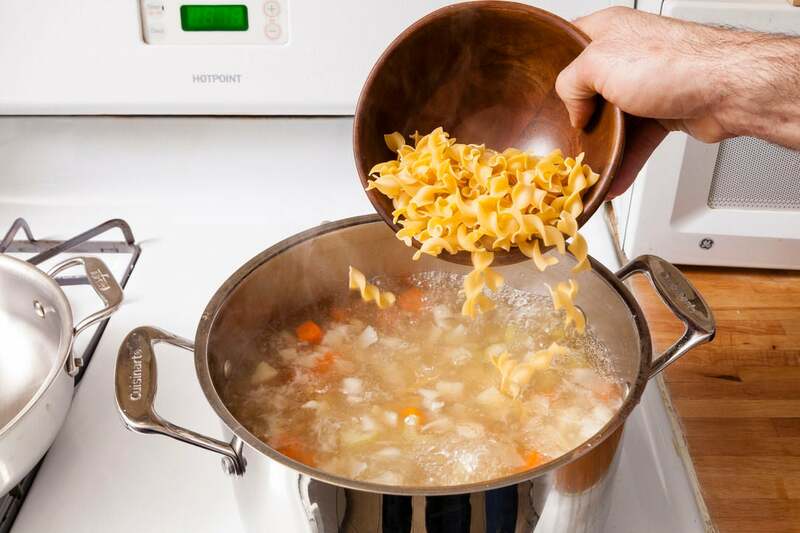 While you cut up the chicken, add the noodles to the pot. Simmer about 4 minutes, then add the chicken meat to the pot and cook 1 minute longer. Taste the broth for seasoning. Add some salt and pepper, little by little, tasting after each addition, until you reach the desired level of seasoning. Just before serving, add most of the dill to the pot. 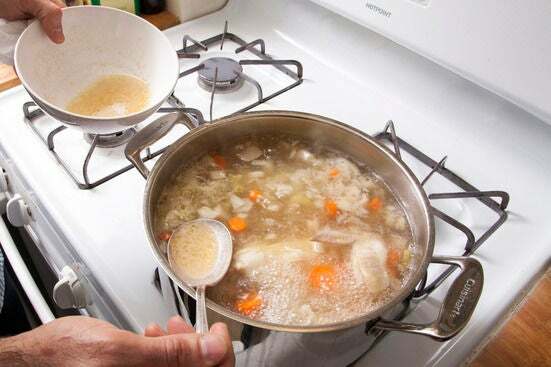 Divide the soup between 2 bowls. Garnish each bowl with the remaining dill. Enjoy!